With the right type of driveway brick pavers, you can keep your driveway looking nice and holding up well for many years to come in Greenville. Driveway Brick Pavers in Greenville – When you drive up to a home, one of the first things you may notice is the driveway. This is the outdoor space that leads up to the garage and/or front door, so it certainly gets a lot of use. With heavy vehicles driving and parking on the driveway, it’s important to have materials that can withstand a lot of weight without cracking or becoming damaged. Weather changes and dropping temperatures can also affect the strength and durability of certain types of driveway paving materials, so you may notice cracks and chips following the winter months. However, with the right type of driveway brick pavers, you can keep your driveway looking nice and holding up well throughout every season for many years to come. 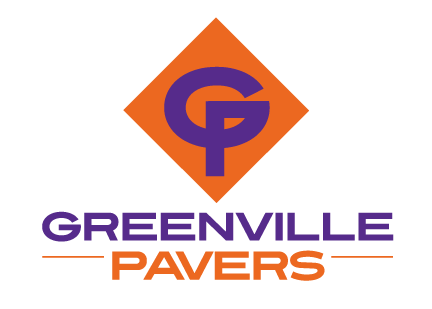 At Greenville Pavers, we can install driveway brick pavers for customers in Greenville, South Carolina. Our driveway brick pavers are durable and designed to last for many years without required maintenance, repair, or replacement. We also offer different colors and patterns, giving you more option for customization and flexibility for your project. The installation process also won’t take more than a few days, limiting the time you have to avoid driving on your driveway. Our team members have a lot of experience in the industry, so we are happy to answer any questions you may have and provide you with options so you get the driveway you’ve always dreamed of having at your property. While a driveway might not seem like the most exciting thing to spend money on, it’s certainly worth the investment because of the value it will add to your property.